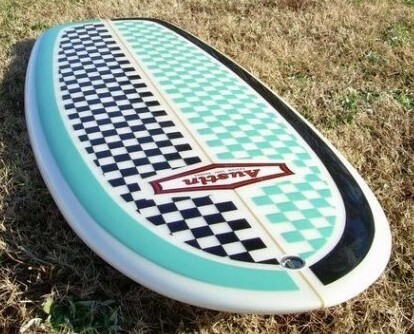 My wife really digs the looks of this board... so I am buying it for her as a Valentine's Day gift (ha ha, right!). 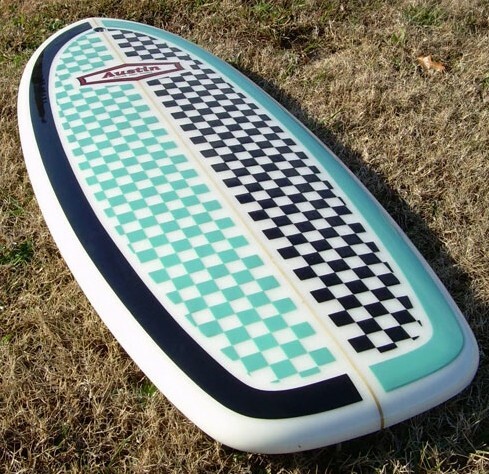 Anyway, it is being added to my quiver. 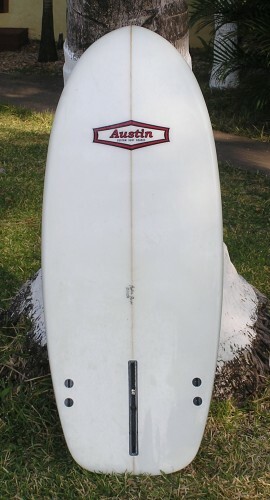 It is a carbon copy of my last one - the first paipo that Austin made - except for being a 1/4 inch thinner and a tad narrower - that should be good for some of the tropical waves that I ride. Update: Rode the board in Costa Rica during my March 2009 trip, along with the Orange Matter (the baseline Austin paipo), and the RPM passed with flying colors. The board is best in "performance waves" that have some energy throughout - the Orange Matter is better in waves with some flat, punchless spots. Having said that I would be pleased with either as a primary board and have now ridden both designs in a wide range of conditions (2 foot to 12 foot, punchy and hollow, fat and slow). I was pleasantly surprised with the RPM's wave catching capability given its reduced float. As expected, the reduced float means a slightly slower paddle out to the line-up, but on the other hand, easier duck diving - a reasonable tradeoff. The forward third are soft egg rails slightly turned under and the rear two-thirds are increasingly hard turned under rails. 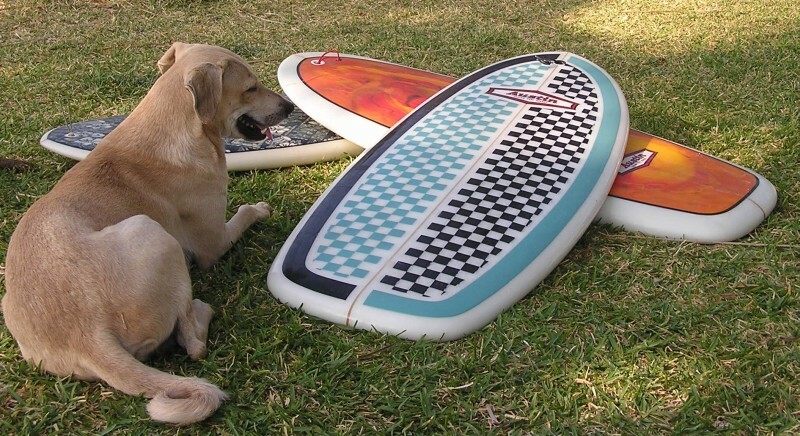 The board has a 3-fin box set-up. These sidebites have little angle (toe-in), if any, more like a traditional fish. To borrow another person's words, "Faster, more lined up and bigger waves requiring longer turns and high speed trims tend to desire more parallel side fin positions." My small sidebites (~2") are used in tandem with a single center fin (4.5" to 5.5" range normally; Update: 4.0" to 4.5") that can be adjusted forward or aft depending upon wave conditions. The pigment work by Austin Saunders and Uncle Joe was incredible. One inch pigment squares were achieved by laying out strips of masking tape back and forth and applying one color then pulling the tape and then reapplying the tape and then laying the other color down. A great example of old school resin work that is similar to what was done in the 60s.